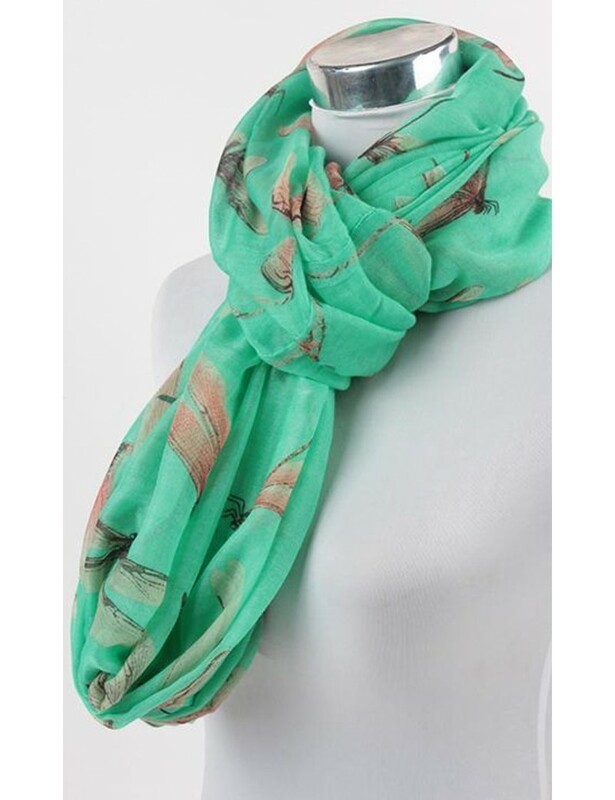 A beautiful infinity scarf with dragonfly print detail. Scarves are the perfect go to accessory for your wardbrobe and this beautiful dragonfly scarf will add the finishing touch to your outfit but also keep you warm and cozy! Simply wrap to instantly brighten up your style,the length allows you to wrap twice for a chic, close fit or wear long and bohemian. . The bird print will look perfect styled with your favourite jacket, t-shirt, dress or jumper. Scarves make the perfect gift for a friend or loved one but why not treat yourself?